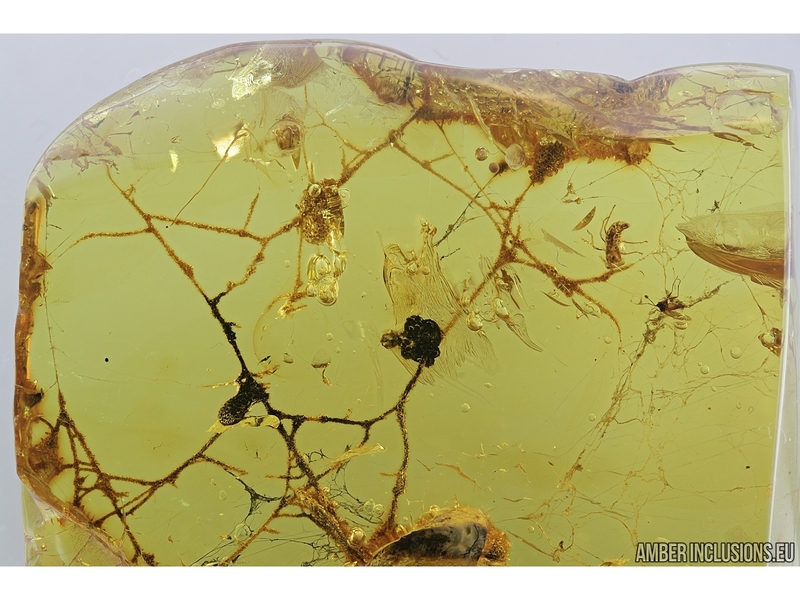 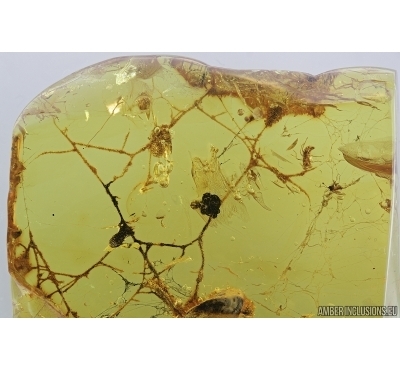 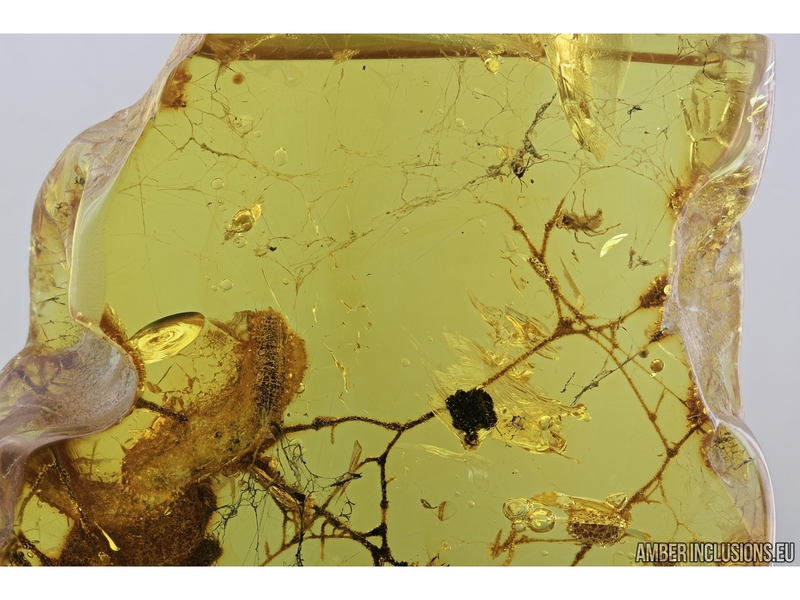 Baltic amber stone with fossil inclusion- Spider web, Araneae. 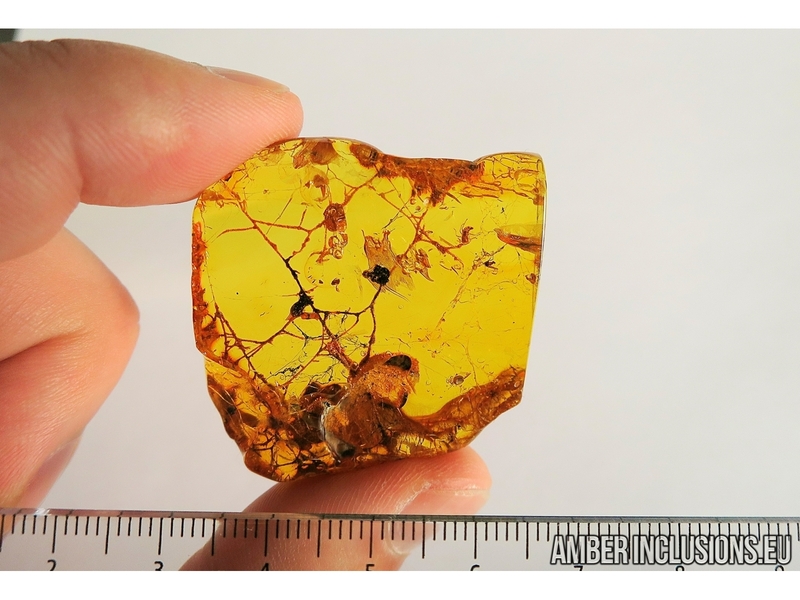 It weighs 11 grams. 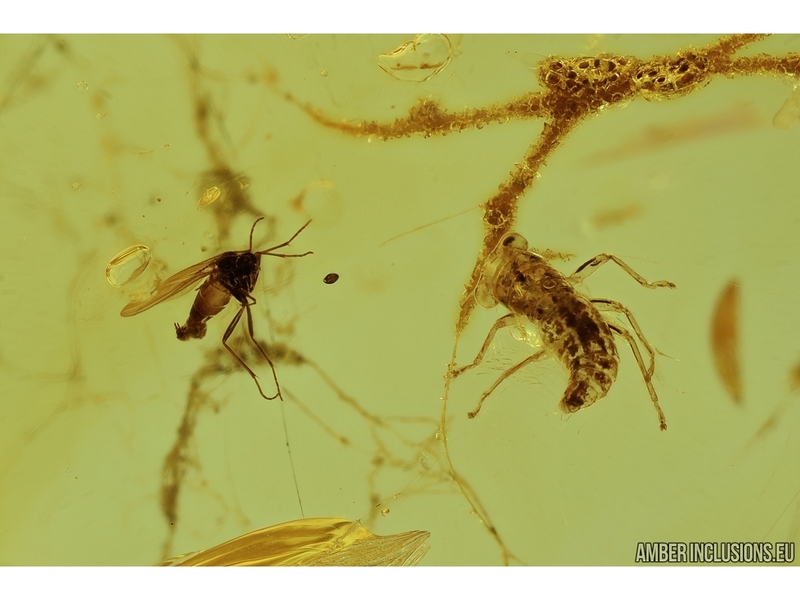 Measurements of stone 40x38x11mm, length of spider web ~38mm, cicada ~2mm, gnat `1.5mm.